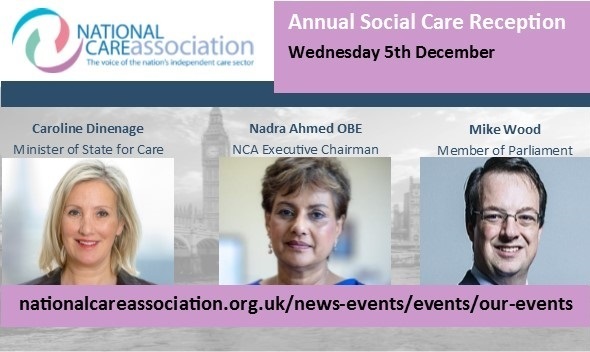 This is a National Care Association members only event with admittance by invitation only. Booking forms must be completed and returned to NCA by 1st November. Tickets are limited and will be issued on a first come first served basis. Invitations will be issued to those who are allocated a place at the reception and will be required for admittance along with photo ID. Please note only one ticket per applicant can be allocated.